Hello Everyone and happy happy birthday to my dear dad who is celebrating a big birthday today! My dad prefers super CAS cards so this card took a bit longer than other cards I’ve made him. OK, I must confess, it actually tested my patience a bit – it took a LONG time to arrange and glue down those stars… especially the smallest ones! The stars are from the Hero Arts star confetti background die – I love background dies but they are pricey and I always like to find as many ways of using them as possible. I love how versatile the Hero Arts confetti dies are – the different sizes of the confetti means that I use them on all sorts of cards and I’ve even used the star die for a Happy 2018 card! Anyway, I probably used about 70% of the stars from the die on this card. I stuck some to the back and saved the rest for another project. The greeting is also by Hero Arts. As I used one of my favourite Hero Arts products (background dies), I’m entering this into the current Blog Named Hero challenge. 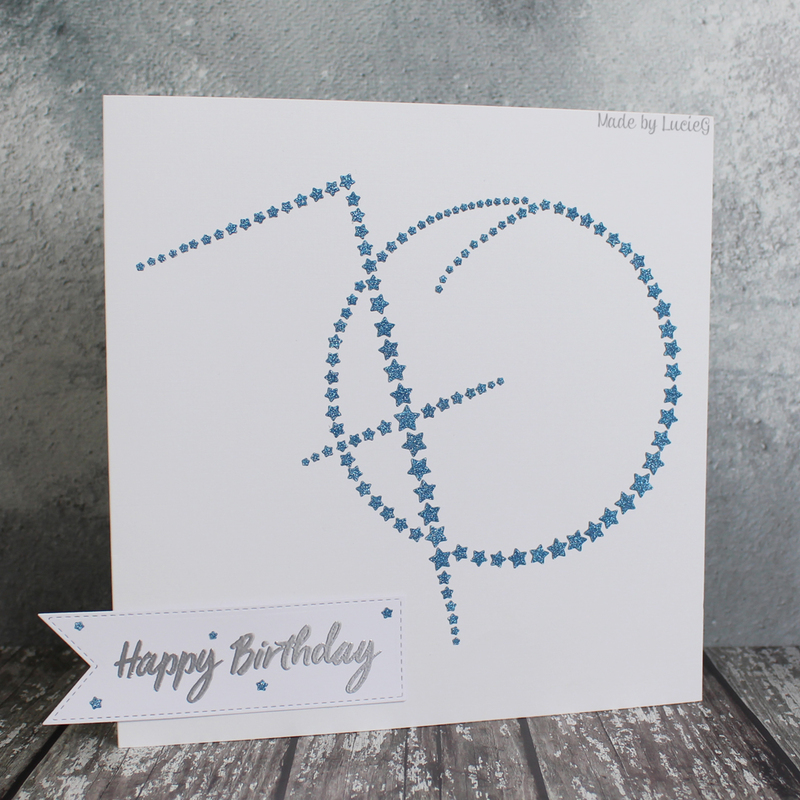 what a clever card Lucie – thanks for joining our A Blog Named Hero challenge this month! Am sure your dad will love your card!! I bet your Dad loves this! Your hard work and patience paid off because this is amazing! What a fabulous CAS card! Your dad will surely love it! What a beautiful card! Love the colors and textures. Thank you so much for playing along at the A Blog Named Hero Challenge, hope to see you again next month!